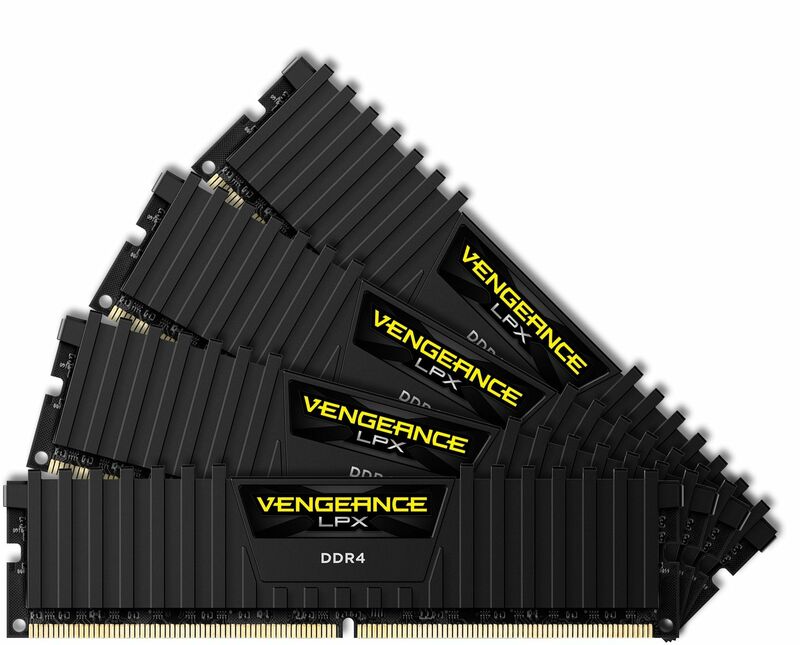 Corsair's Vengeance LPX memory is designed to provide high-performance on Intel and AMD motherboards. 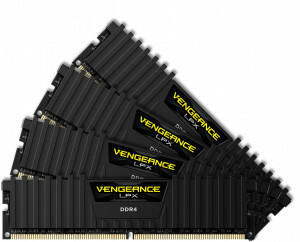 Corsair's Vengeance LPX memory is designed for high-performance overclocking. The heatspreader is made of pure aluminium for faster heat dissipation, and the eight-layer PCB helps manage heat and provides superior overclocking headroom. Each IC is individually screened for performance potential. The DDR4 form factor is optimised for the latest Intel X99 and 100 Series motherboards and offers higher frequencies, greater bandwidth, and lower power consumption than DDR3 modules. Vengeance LPX DDR4 modules are compatibility-tested across X99 and 100 Series motherboards for reliably fast performance. There’s XMP 2.0 support for trouble-free automatic overclocking. Part of Corsair's exhaustive testing process includes performance and compatibility testing on most Intel and AMD based motherboard on the market – and a few that aren’t. Overclocking overhead is limited by operating temperature. The unique design of the Vengeance LPX heat spreader optimally pulls heat away from the ICs and into your system's cooling path, so you can push it harder. The heat spreader doesn't just allow Vengeance LPX to run better... the aggressive yet refined form factor looks great in showcase systems.